Thirteen people have been killed and more than 90 others wounded in shootings across Chicago since noon Friday, marking a bloody holiday weekend that surpassed last year's violence, according to police. 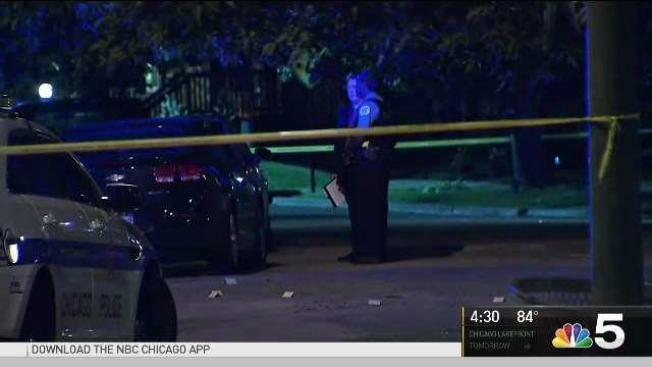 A late surge in shootings saw at least six people killed and 28 others wounded in less than 12 hours overnight, bringing the total number of people shot over the four-day weekend to more than 100. Last year, 66 people were shot, four of them fatally, over the long holiday weekend. However, Fourth of July fell on a Monday that year, making the weekend only three days long. In 2013, the last four-day weekend for the Fourth of July, 72 people were shot across the city. As the Fourth of July weekend gets underway, Chicago Police and federal agents are increasing their presence in an effort to stem the tide of violence that has historically made the weekend one of the most violent of the year. 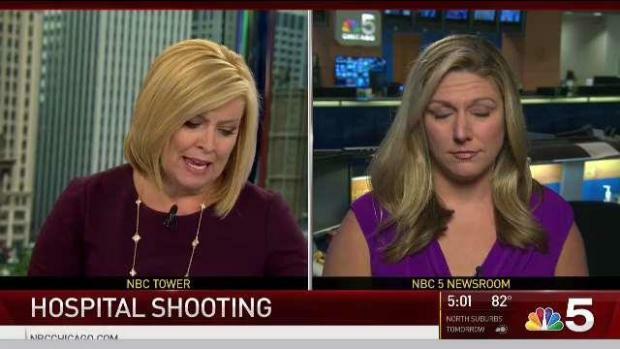 NBC 5’s Lisa Chavarria has details on those efforts. The most recent fatality happened early Wednesday morning, when a 42-year-old man was found on a sidewalk with multiple gunshot wounds to the body. Police said the man was found in the 6200 block of South Laflin and was taken to Stroger Hospital in critical condition. He was later pronounced dead, authorities said. At about 1:45 a.m., a 21-year-old man was shot and killed in the city's Gresham neighborhood. Police said the man was standing on the street in the 7900 block of South Paulina when someone walked up to him and fired shots. The man was taken in serious condition to Advocate Christ Medical Center with a gunshot wound to the back. He was later pronounced dead. Area South detectives are investigating. Less than an hour earlier, four people were shot, two of them killed, when a group of men opened fire at them from a black SUV in the 1100 block of South Eberhardt, police said. One man was shot in the back and a second shot in the chest. Both were pronounced dead at the scene, according to authorities. A third man, 29, was shot in the right wrist and was listed in stable condition at Roseland Hospital and a 37-year-old man was shot in the right arm and listed in stable condition at Advocate Christ Medical Center. No one was in custody as of Wednesday morning. About the same time, two people were shot in an alley in the 4000 block of West Lake Street. One man was shot in the head and was pronounced dead at the scene. A second man, 37, was shot in the side of his body and was listed in stable condition at Stroger Hospital. One minute after midnight, a group of three people were shot, one of them fatally, while standing on a sidewalk in the 300 block of East 47th Street, police said. A 33-year-old man walked into Mercy Hospital with a gunshot wound to the abdomen and was transferred to Stroger Hospital in critical condition. A second man, 45, was shot in the chest and taken to Stroger in stable condition. A third victim, 29, was dropped off at Northwestern Memorial Hospital with multiple gunshot wounds to the body. He was ultimately pronounced dead, authorities said. Late Tuesday, a 56-year-old man, believed to be an unintended target in a shooting, was killed while standing outside his home in the city's North Austin neighborhood, according to police. On Friday, three men were killed in a shooting in the 5700 block of South Wells at approximately 8:50 p.m., police say. A 50-year-old man was shot in the chest and the leg, and was pronounced dead at the scene, according to police. A 30-year-old man was also killed at the scene. The two victims were on a porch when two armed men opened fire, striking and killing both of them. According to Chicago Police, two possible offenders are currently in custody in connection with the slaying. Another victim, a 51-year-old man, was found dead at the same scene, according to police. The fourth homicide of the weekend occurred at approximately 1:30 a.m. on Sunday, as a 47-year-old man was shot and killed in the 4200 block of South State Street. Also on Sunday, a 39-year-old man was found dead with a gunshot wound to the head around 11:35 p.m. on the 1800 block of West 14th Street, police said. And police also responded Tuesday to the city's Riverdale neighborhood where a 21-year-old man, who was not the intended target of a shooting, was killed around 5:18 p.m.
Shootings for the rest of the weekend are detailed below. The first shooting of the weekend occurred at noon on Friday when an 18-year-old man was shot in the leg during a robbery in the 4200 block of West Grenshaw. After the robbery, which saw the victim shot in the upper leg when the assailant pulled out a gun, the man transported himself to West Suburban Hospital, where he is listed in good condition. A 17-year-old boy was shot in the back at approximately 4:15 p.m. on Friday afternoon in the 3200 block of West Madison. He is currently in serious condition at Stroger Hospital after an acquaintance accidentally shot him in the back and fled from the scene. Two people were shot in the 3300 block of West Douglas at 4:25 p.m. Friday while standing on a street corner. A 26-year-old man was transported to Mt. Sinai Hospital in serious condition, and a 17-year-old boy was transported to Mt. Sinai in critical condition, according to police. At 7:20 p.m. on Friday, a 26-year-old man was shot in the buttocks and in the right thigh while sitting on a porch at the corner of Lockwood and Madison. He was transported to Mt. Sinai in good condition, according to police. At 9:10 p.m. Friday night, a 33-year-old man was shot in the 8500 block of S. Givins Court. The victim sustained multiple gunshot wounds when an unknown gunman emerged from a gangway and opened fire. The man was able to drive away from the scene, and he was transported to Christ Hospital in serious condition. A 62-year-old man driving an unlicensed cab was robbed by a man and a woman in the 9100 block of South Cottage Grove at 9:53 p.m. Friday night. After a struggle in the cab, the driver was shot in the foot, and the man and woman escaped with an unknown amount of money. The cab driver drove himself to the hospital and is in good condition at St. Bernard, according to police. A 25-year-old man was shot in the left arm and left leg while standing on a sidewalk in the 4500 block of West Jackson at 10:10 p.m. on Friday night. A dark colored vehicle drove by and two male occupants of the car opened fire, striking the man. The man was taken to Mt. Sinai in critical condition. At 10:20 p.m. on Friday night, a 20-year-old man was shot in the abdomen and taken to Christ Hospital in stable condition. The victim told police that he was standing on the sidewalk when he heard gunshots, and he felt pain in his abdomen before realizing that he had been shot. Two more people were shot around 11:00 p.m. on Friday night in the 1000 block of East 73rd Street. A 24-year old man was shot in the arm and transported to Christ Hospital in stable condition, while a 22-year old woman was shot in the leg and stomach. The woman was taken to Stroger Hospital in serious condition, police said. The victims in the case were uncooperative with authorities, and the rest of the circumstances of the case are unknown. At approximately 2:05 a.m. on Saturday morning, a 29-year-old woman was shot in the stomach in the 200 block of West 114th Street. A black vehicle drove past the victim and shots were fired, striking her in the stomach according to police. She was transported to Christ Hospital in serious condition. A 25-year-old man was shot after a verbal altercation in the 2000 block of West Lemoyne at 2:26 a.m. Saturday morning. The man was shot in the knee, and he was transported to Stroger Hospital in good condition. A 23-year-old man was taken to Mt. Sinai Hospital in critical condition at 2:35 a.m. Saturday morning after suffering a gunshot wound to the leg. According to police, the victim was walking down the street when he was shot by an unknown assailant in the 2100 block of North Pulaski. A 13-year-old boy was shot in the buttock at 2:37 a.m. Saturday morning, according to police. The boy was walking down the street when he heard shots and felt pain, according to police. He was transported to Comers Hospital in unknown condition. Around 5 a.m. on Saturday morning, two people were shot after an argument at a residence in the 2700 block of West Washington. A 28-year-old man was shot in the right thigh and left foot and was taken to Stroger Hospital in good condition. A 23-year-old woman was shot in the right leg and was taken to the hospital in good condition. At 3:46 p.m. on Saturday, a 27-year-old man suffered a graze wound to his ankle in a shooting in the 2400 block of South St. Louis. The victim was standing on the sidewalk when he heard shots and felt pain in his ankle. The victim took himself to Mt. Sinai Hospital, where he is in good condition. At 6:45 p.m. a 32-year-old man suffered a graze wound on his right thigh in the 1500 Block of West 63rd Street. The victim was taken to Stroger Hospital in good condition, according to police. At 6:53 p.m. Saturday, two women were shot in the 6300 block of South Artesian. A 44-year-old woman was shot in the abdomen and was taken to Christ Hospital in stable condition, and a 50-year-old woman was shot on the right side of her body and was also taken to Christ Hospital in stable condition. A 32-year-old woman was shot in the left arm and taken to Stroger Hospital in stable condition. The incident occurred at approximately 8:40 p.m. in the 4000 block of West Polk. According to the woman, she was standing in a vacant lot when shots rang out from a grey Dodge Charger that was traveling eastbound on Arthington. Two people were shot at approximately 10 p.m. in the 900 block of East 79th Street. A 28-year-old man was shot multiple times and was taken to Christ Hospital in critical condition. A second victim, a 27-year-old man, was shot in the right ankle and transported himself to Jackson Park Hospital in stable condition. According to police, the shooting was gang-related. A 25-year-old man was shot in the neck and was taken to Stroger Hospital in serious condition. The shooting occurred after a physical altercation with a 31-year-old man, who pulled out a gun and allegedly shot the victim. The incident occurred at 10:05 p.m. in the 5000 block of South Cottage Grove, and the alleged shooter is in custody, according to police. A 19-year-old man was shot in the buttocks in the 7300 block of South Greenwood. The shooting occurred at approximately 10:20 p.m., and the victim was taken to Northwestern Hospital in good condition, according to police. A 49-year-old man was shot multiple times and was taken to Christ Hospital in serious condition. The incident occurred at approximately 12:30 a.m. in the 7200 block of South Evans. Two people were shot in the 100 block of North California at 1:15 a.m. One of the victims, a 29-year-old man, was shot multiple times and was transported to Mt. Sinai Hospital in critical condition. A second victim, a 28-year-old man, was shot in the left hand and is listed in stable condition at Mt. Sinai. According to police, the second victim is uncooperative, but police believe that the shooting is gang-related. A 23-year-old man was shot in the head and transported to Mt. Sinai Hospital in serious condition in the 3000 block of West Roosevelt. The man was a passenger in a vehicle stopped at a stoplight, and was shot by occupants in a passing vehicle, according to police. A 24-year-old man was shot twice in the back after an unknown gunman approached him on foot and opened fire in the 4500 block of West Jackson Blvd. The victim was taken to Mt. Sinai Hospital in serious condition. At approximately 4 a.m., a 22-year-old woman was shot in the right leg and transported to Mt. Sinai Hospital in stable condition. A 27-year-old man was shot in both legs while standing on a sidewalk in the 500 block of North Sawyer. The victim was taken to Mt. Sinai in stable condition. According to police, a person in a passing blue sedan fired shots at the victim, and the shooting is gang-related. An 18-year-old man was shot in the right leg and taken to Stroger Hospital in critical condition. The shooting occurred in the 2400 block of South Washtenaw at approximately 4:40 a.m. According to police, the man was talking southbound on Washtenaw when two male offenders emerged from a gangway and opened fire. At approximately 4:45 a.m., a 30-year-old man was shot in the right leg while walking on a sidewalk in the 5100 block of West Madison. The victim was taken to Loretto Hospital in stable condition. A 25-year-old man was shot in the left leg on the 4400 block of West Madison at approximately 5:27 a.m. He took himself to Mt. Sinai, where he is listed in good condition. A woman was shot in a possible domestic-related incident in the 5400 block of West Gladys on Sunday morning. The victim suffered a gunshot wound to the leg and transported herself to Loretto Hospital, where she was listed in good condition. A man riding a bicycle was shot in the right hip at approximately 2 p.m. on Sunday afternoon. The victim, a 23-year-old man, was transported to Stroger Hospital in good condition. A 19-year-old man was shot in the stomach and transported to Stroger Hospital in critical condition. According to police, the victim was walking down the street when a vehicle approached and one of the occupants opened fire. The shooting occurred at approximately 2:15 p.m. in the 5100 block of South Christiana. Three teenagers were shot in the 3500 block of West Ogden at approximately 8:09 p.m. Sunday night. All three victims, two 19-year-olds and a 17-year-old, were taken to St. Anthony Hospital in good condition. According to police, the two 19-year-olds are both affiliated with gangs. The teens told police that they were standing outside when they heard gunshots. A man was shot in the 2400 block of South Harding at approximately 9:06 p.m. The victim is in good condition, according to police. A 29-year-old man was shot in the back at about 9 p.m. in an alley in the 2400 block of South Pulaski. He was taken to Stroger Hospital in stable condition. Police said the man was standing in an alley when shots were fired from an unknown source and he was struck. No one was in custody. A 39-year-old man was found dead with a gunshot wound to the head around 11:35 p.m., police said. Officers arrived to find the man dead on the 1800 block of West 14th Street, police said. Police said the circumstances surrounding his death were immediately unknown and no one was in custody. A 22-year-old man was shot by a BB gun in the left arm, police said. He told police he was sitting on a residence porch in the 5600 block of West West End when a man approached him at about 1:15 a.m. and fired shots. The victim is a documented gang member, police said. No one was in custody, and the victim was in good condition. A 19-year-old man was shot in the right leg at about 12:20 a.m. in the 1700 block of North Kildare, police said. He said he was walking when an unknown man armed with a gun approached him on foot and fired shots. No one was in custody, police said, and the victim was in stable condition at Stroger Hospital. A 38-year-old man sustained a gunshot wound to his right hand at about 1:10 a.m. in the 7400 block of South Coles, police said. While the circumstances of the shooting were unknown, police said the victim was 'highly intoxicated and uncooperative with police." No one was in custody, and the victim was taken to Northwestern Hospital in stable condition. A 37-year-old man was shot twice in the right hip around 10 a.m. in the 1300 block of South California, police said. He was taken to Mt. Sinai Hospital in serious condition. A 32-year-old man was shot in the arm, police said, around 10:13 a.m. in the 1000 block of North Central Park. He told police he was walking down the street when he saw a gray-colored vehicle turn the corner. He heard shots ring out and felt pain, police said. He was in good condition at Norwegian Hospital, police said. Two men were shot while sitting in a vehicle around 5:30 p.m. in the 4300 block of South Ashland Avenue. Police said a 22-year-old man and a 23-year-old man told officers they were in a vehicle when someone in a light-colored van fired shots at them and fled the scene. The 22-year-old was shot multiple times in the left ribs and the 23-year-old was shot in the left hand. Both were taken to Stroger Hospital in stable condition, police said. A 21-year-old man was shot in the head and groin while standing outside around 6:40 p.m. in the 100 block of South Pulaski, police said. The man was taken to Stroger Hospital in good condition. Police said the man told officers he was standing outside when someone began firing shots and him and fled in an unknown direction. A 60-year-old man was standing on a sidewalk just before 11:30 p.m. in the 1500 block of South Hamlin when he told officers he heard shots and felt pain. He suffered a gunshot wound to the left leg and was taken to Mount Sinai Hospital in stable condition, authorities said. A 26-year-old woman walked into Norwegian Hospital around 5 a.m. with a gunshot wound to her right hand. Police said the woman was treated and released before officers could interview her, but she told hospital staff she was walking in the 1600 block of North Sawyer Avenue in the Logan Square neighborhood when she heard shots and felt pain in her hand. The incident remained under investigation later Tuesday morning but police said no crime scene had been located as of 8 a.m.
Around 3:48 p.m., two men were shot in the 11600 block of S. State St. in the city’s West Pullman neighborhood, according to police. A 20-year-old man sustained a gunshot wound to the armpit and an 18-year-old man was shot in the head and right arm, authorities said. Both were taken to Advocate Christ Medical Center in stable condition, according to police. A 21-year-old man who was not the intended target of a shooting was killed around 5:18 p.m. in the city’s Riverdale neighborhood, officials said. He was sitting in a parked car in the 200 block of East 132nd St. when a light-colored sedan pulled up and opened fire at another vehicle, according to police. Authorities said he was shot in the face and taken to Advocate Christ Medical Center where he was pronounced. Around 7:20 p.m., two men were shot in the city’s West Town neighborhood, according to police. They were involved in a physical altercation on the street with several other men in the 600 block of N. Campbell Ave. when someone opened fire, police said. A 38-year-old man was shot in the arm and took himself to Norwegian Hospital, where he was in good condition. A 26-year-old man walked into Norwegian Hospital with a gunshot wound to the left ankle and was listed in stable condition, authorities said. Less than 20 minutes later, officials said a 26-year-old woman was shot in the Woodlawn neighborhood on Chicago’s South Side. She was in the 6400 block of S. Ellis Ave. when she was shot in the scalp around 7:38 p.m., according to police. She took herself to the University of Chicago Medical Center where she was listed in stable condition, officials said. A second man believed to be an unintended target was fatally shot in Chicago at around 8:14 p.m. on Tuesday, according to police. The 56-year-old man was in front of his residence in the 1600 block of N. Major Ave. in the city’s North Austin neighborhood when someone opened fire from a car, authorities said. He was shot in the head and taken to Loyola Hospital in critical condition, while a 19-year-old man was also struck as he stood outside, according to police. The 19-year-old was taken to Loyola Hospital with a gunshot wound to the back and was listed in serious condition, officials said. Around 10 p.m., a 31-year-old man was shot in his legs when someone opened fire from a gangway and fired shots at him in the 10500 block of South Aberdeen, police said. At about the same time, a 54-year-old man was shot in the right shoulder while in his backyard in the 8300 block of South Kerfoot. The man was shot while several fireworks were going off in the area and thought he was injured by a firework, police said. He walked into Little Company of Mary Hospital the next day for treatment where he learned he had been shot, authorities said. Just five minutes later, two people were shot in the 3400 block of West Grenshaw. A 36-year-old man and a 26-year-old man were standing on the street in the area when they told officers they "heard shots and felt pain." Both were taken to Mount Sinai Hospital in stable condition, police said. A 22-year-old woman was shot around 10:45 p.m. in the 1200 block of South Lawndale when someone walked up to the parked car she was sitting in and opened fire, according to police. The woman was taken to Mount Sinai Hospital in stable condition with a gunshot wound to the left leg, police said. Just after 11 p.m., two people were shot in the 1900 block of South Spaulding. Police said a 25-year-old man and a 24-year-old man were standing on a sidewalk when they heard shots and felt pain. The two were self-transported to St. Anthony's Hospital with gunshot wounds to the leg. The 25-year-old was also shot in the forearm. Authorities said that man was being transferred to Mount Sinai Hospital in serious condition. The 24-year-old man was also transferred in stable condition. About 20 minutes later, a 33-year-old man was shot while standing on the sidewalk in the 1600 block of South Loomis, police said. The man was standing on a sidewalk when he heard shots and felt pain, suffering a gunshot wound to the chest. The man was taken to Stroger Hospital in critical condition, according to authorities. A 24-year-old woman was shot when several men opened fire on the vehicle she was riding in around 11:30 p.m. in the 1400 block of East 53rd Street. She was taken to the Northwestern Memorial Hospital with gunshot wounds to legs and was listed in stable condition. A 27-year-old man was wounded in a drive-by shooting around 11:45 p.m. in the 100 block of East 43rd Street. The man was standing on a sidewalk in the area when someone in a vehicle fired shots at him, hitting him in the right leg. The man was taken to Stroger Hospital in stable condition. Around 11:55 p.m., a 19-year-old man was shot while standing on a sidewalk in the 2300 block of West Roosevelt, police said. The teen walked into Holy Cross Hospital with a gunshot wound to the left thigh and was listed in stable condition. At about 12:09 a.m., a 22-year-old man was standing on the sidewalk in the 10400 block of South Green when he told police he heard shots and felt pain. The man was taken to Advocate Christ Medical Center in stable condition with a gunshot wound to the left leg, police said. Around 12:16 a.m., a 21-year-old man was shot while standing on a sidewalk in the 3900 block of West 13th Street. The man walked into Rush University Hospital with a wound to the left knee. He was transferred to Stroger Hospital in stable condition. A 41-year-old man was shot while attempting to break up an argument between a man and a woman on the sidewalk around 12:30 a.m. in the 900 block of West 114th Street. The man involved in the argument pulled out a handgun and fired shots at the 41-year-old, police said. The victim was shot in the left arm and right knee and was taken to Advocate Christ Medical Center in stable condition. At 12:48 a.m., a 27-year-old woman was shot while standing on a sidewalk in the 8000 block of South Komensky. The woman suffered a graze wound to the back and was taken to Palos Hospital where she was treated and released, authorities said. One minute later, two people were shot in the 200 block of West 95th Street when someone walked up to them and opened fire, according to police. A 41-year-old man was shot in the right hand and left foot and taken to Little Company of Mary Hospital in stable condition. A 22-year-old man was also in the left foot and was listed in stable condition at the same hospital. Just before 1 a.m., a 28-year-old man was sitting on a front porch when someone in a light-colored sedan opened fire at him in the 1000 block of West 14th Street, police said. The man was self-transported to University of Chicago Hospital with a wound to the right ankle and was listed in stable condition. At the same time, a 33-year-old woman was shot in the 3800 block of West Grenshaw when a black sedan pulled up to her and someone inside fired shots, police said. She was taken to Mount Sinai Hospital in stable condition. Around 1 a.m., a 26-year-old man was shot in the 1500 block of North Spaulding. The man told police he was outside when he suddenly felt pain and thought he was hit by a firework. About three hours later, he took himself to St Elizabeth's where he discovered he had been shot. At about 1:45 a.m., a 22-year-old man took himself to West Suburban Medical Center with gunshot wounds to the face and neck, authorities said. The man was transferred to Stroger Hospital in critical condition but was not able to give police details on where or how he was shot. A 34-year-old man was shot around 2:10 a.m. in the 8100 block of South Coles while sitting in a parked vehicle. Police said the man was sitting in the car with a woman when the woman produced a handgun and fired shots. The man was taken to Northwestern Memorial Hospital in critical condition with wounds to the abdomen and leg. No one was in custody as of Wednesday morning. Just before 3 a.m., a 33-year-old man was shot while driving westbound in the 1300 block of West 13th Street. Police said the man was taken to Stroger Hospital in serious condition with wounds to the neck and back. A 23-year-old man was shot around 3:30 a.m. in the 9000 block of South Escanaba, police said. The man was standing on the sidewalk when he told police he heard shots and felt pain. He was taken to Trinity Hospital and was being transferred to Advocate Christ Medical Center with gunshot wounds to the right leg.